These Products have been Developed Directly from the Modeling Creations of NMRA National Award Winning Dioramas by Richard E. (Ben) Bendever. 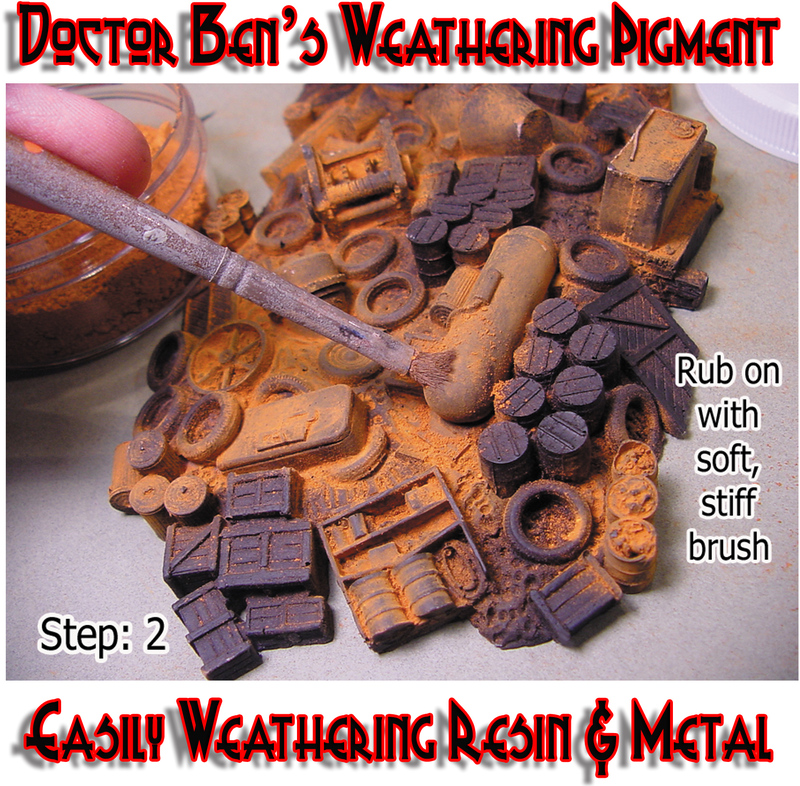 Doctor Ben's Weathering Pigments--As a single component of the Doctor Ben's Weathering Products®, the Industrial Weathering Pigments are an even more powerful tool in creating a realistic Model. Not a powder, not a chalk, the Doctor Ben's Industrial Weathering Pigments are very easily applied using a soft, but stiff, brush. However, be careful, a little bit goes a very long way! I've been using the Doctor Ben's Industrial Weathering Pigments to tint Hydrocal© for years. Just a 1/4 teaspoon make a whole lot of difference when tinting white Hydrocal© to an earth tome color. very cool! These are all great products and as we get more images we'll get them posted here as soon as possible! The Doctor Ben's Weathering products work best in conjunction with other Doctor Ben's Weathering Products as well as competitors' products--hey, why not! All Doctor Ben's Weathering Solutions are available in 2 ounce wide-mouth recyclable jars individually and in money-saving 27-jar & 8-jar sets as well as an 11-Color Pigment Sampler Set. 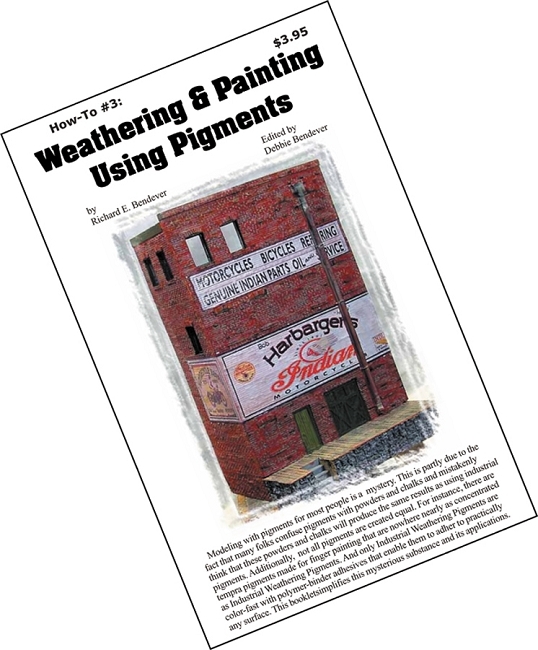 All Weathering Solutions sets include the 8-page color Doctor Ben's How-To #3 Turning Toys into Models Booklet. Each has a description instructing its use and maybe modeling techniques used to get the most out of this item. As always, if you have questions, please ask!